Sign up for our e-Newsletter to stay up-to-date on HomeAid San Diego. View some of our previous newsletters below. New partners, new projects and new beginnings with HomeAid San Diego. San Diego County is the 5th most populous county in the United States and according to the latest Homeless Point-in-Time Census for San Diego County (January 2015), overall homelessness numbers are up by 2.8% from 2014. That means that 8,742 individuals (men, women and children) are homeless on any given night in the San Diego Region. Of those homeless folks, 4,586 are sheltered, but there are still 4,156 unsheltered men, women, and children living on the streets. How can this happen in the ‘smartest City in North America’? Homelessness is a complicated and difficult issue to solve, but we all know that providing housing is the first priority. We can change these numbers by building more shelters and housing for the thousands of families in the San Diego region who do not have a home to sleep in tonight. 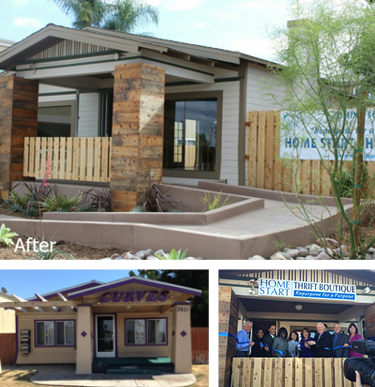 At HomeAid San Diego, we continue to do our part with 20 HomeAid shelter projects completed and 3 more underway. With your support, we can house more homeless in San Diego County. Noah Homes Memory Care Units - HomeAid San Diego joined Noah Homes in the spring of 2014 on ‘their journey’ to build two 10-bedroom residences for developmentally disabled adults with Alzheimer’s on their campus in Spring Valley. Murfey Construction came on board as the Owner’s Rep for Noah Homes and the exceptional Project Team assembled by HomeAid San Diego has been meeting regularly since July 2014 to define the scope and design of the project. In addition, HomeAid San Diego through the Lennar Charitable Housing Foundation provided cash assistance towards the capital campaign. Final plan check approval was submitted to the County in early July 2015 and we are awaiting notice to start grading the property in the fall of 2015, followed by the start of vertical construction in early winter of 2015. This will be the first of its kind facility in California and in the nation, that will house developmentally disabled adults with Alzheimer's in a permanent, supportive home-like setting through end of life. 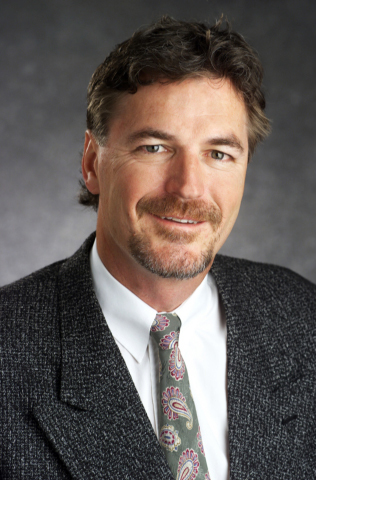 And a very special welcome to our newest Project Team Member BROOKFIELD RESIDENTIAL who recently signed on as the General Contractor bringing in their building professionals at cost!! We are thrilled to have Adrian Foley, President and COO, California; Jase Prewett, Vice President of Construction; and Adam Pevney, AVP-Land Acquisition, as the Brookfield leaders committed to 'joining the journey’ with HomeAid San Diego and Noah Homes on this tremendous project. Brookfield in turn has brought in Sukut Construction to perform Phase I grading and Standard Pacific Homes to handle materials purchasing for the vertical construction. Interfaith Community Services Veteran’s Resource Center – When the opportunity to partner on a 3rd project with Interfaith presented itself, HomeAid San Diego eagerly jumped at the chance to assist in renovating a medical office building into a facility that will offer treatment to 30+ veterans after their hospital stay. Interfaith is 1 of only 5 agencies in the country certified by the VA to provide the level of comprehensive care for veterans that will be available at their new Resource Center in Escondido. The building was purchased and donated to Interfaith by Tom Hawthorne of Hawthorne Brothers, a long time Interfaith supporter. After a groundbreaking in mid-February 2015 and granting of a building permit in April, demolition and start of construction followed immediately. 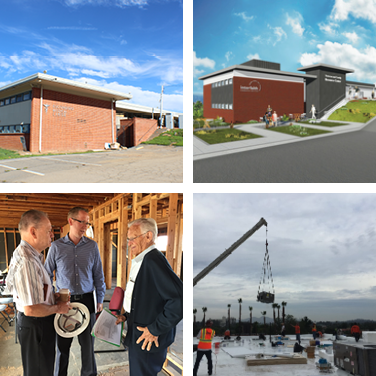 Targeted completion is the end of September 2015, with a Grand Opening Ceremony on October 7, 2015. Johnson & Jennings Contracting is leading the Project Team as the General Contractor, supported by Ron Sutliff of DTZ, a HomeAid Board Member acting on behalf of Interfaith as the Owner’s Rep, donating his time for the entire project. Barbara Hunter Vice President at First Citizen’s Bank and a HomeAid Board Member, arranged a low-cost construction loan for the project, and Joe Vettel, Board Chair of HomeAid San Diego and President of Geocon, Inc., donated his company’s services for asbestos and soils testing. In addition, HomeAid was able to secure a grant through Bank of America to help reduce the construction budget. 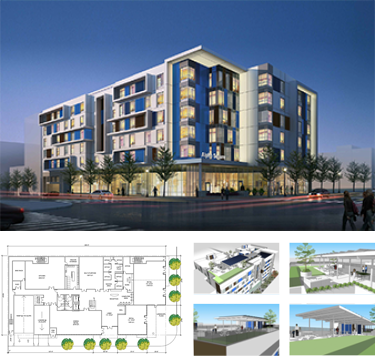 Alpha Project - Alpha Square – At the corner of 14th and Market Streets downtown, Chelsea Investments and Emerson Construction are creating a 6-story, ground-up build for Alpha Project that will house 203 homeless men and women in a state-of-the art permanent supportive, facility. It also boasts a commercial kitchen that will be used for culinary training and catering, and two retail spaces on the first floor that will be utilized by Alpha Project as sustainable social enterprises, as well as provide job skills and additional training for their homeless residents. The project broke ground in May 2014 and is scheduled for completion in September 2015, and ready for occupancy October 1, 2015. After the residents have moved in and are established in their supportive programs, HomeAid San Diego will be leading the charge to build out one of the first floor retail spaces that will house a community pizza establishment, funded in part through a grant from the Lennar Charitable Housing Foundation secured on behalf of Alpha Project by HomeAid San Diego. Many thanks to Devin Beale of Fenway Properties, a HomeAid San Diego board member, and Eddy Jabbour, owner of Eddy M’s Delis, for their professional expertise and advice during the initial planning for the retail pizza build-out. Home Start Maternity Shelter #3 & Thrift Store – The partnership between HomeAid San Diego and Home Start which began 4 years ago, continues to create much needed housing for young mothers ages 18-23 and their dependent children, most recently with the renovation of a 3rd Maternity Shelter and a social enterprise Thrift Store run by Home Start. Dedicated in January 2015, this newest development created 10 new beds for deserving young mothers and their children, as well as an opportunity for retail job and financial literacy training for the residents working in the Thrift Store. HomeAid was able to secure a grant through the Lennar Charitable Housing Foundation and a donation from Pardee Homes to help supplement the construction budget. Thank you to our supporters who gave up a Friday of their work week to join us at Maderas Golf Club in support of HomeAid San Diego to help raise money and awareness of our programs. Your participation helped to fund our Housing Development Program where we renovate or build multi-unit facilities for homeless children, adults, veterans, seniors, developmentally disabled, domestic violence victims and foster youth. The weather was fabulous, the players were fantastic – at least they thought so – and everyone had a great time! Congratulations to the Ed Cuff foursome (Ed Cuff, Mike Peters, Chris Burt, Dave Hammar) who won the tournament with the low net score. Our top three team finishers are invited to the Randy Jones Invitational in January 2016 to play in the semi-final round at Sycuan, and hopefully move on to the finals at Torrey Pines to win $10,000 for HomeAid San Diego! MANY THANKS to our Master Sponsor, Pacific Western Bank, and 19th Hole sponsor Colin Seid of ColRich Properties for helping us make this such an incredible event! Your efforts make our work possible! "Building new lives for homeless families and individuals through housing and community outreach." Hala M. Garmo of US Bank; Eric Schmitz of C2 Imagig; and Stacie L. Greene & Nancy Campman-Crofts of Over the Moon Advertising. info@homeaidsd.org or visit our website. Continuum of Care (CoC) - local planning bodies responsible for coordinating the full range of homelessness services in a geographical area. Point-in-Time Counts - unduplicated one-night estimates of both sheltered and unsheltered homeless populations, conducted the last week in January of each year. Rapid Rehousing - a housing model designed to provide temporary housing to the homeless moving them quickly out of homelessness and into permanent housing. Transitional Housing Program - provides the homeless with a home combined with supportive services for up to 24 months. Permanent Supportive Housing - a housing model designed to provide housing and supportive services on a long-term basis for the formerly homeless with mental and physical disabilities. 2-1-1 - a free, 24/7 confidential phone service that connects homeless people with community, health and disaster services. 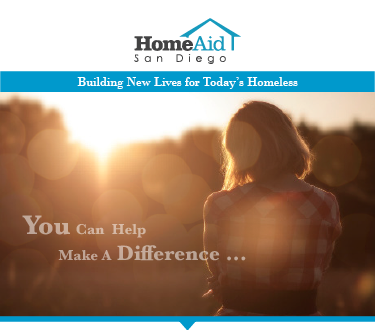 HomeAid San Diego is focusing on November as "Hunger & Homelessness Awareness Month" to start the 2015 Giving Season. Be on the lookout for our November 'Give Back' Calendar for ways that you can give back and donate your time to those in need this holiday season! Many thanks to our generous supporters!! 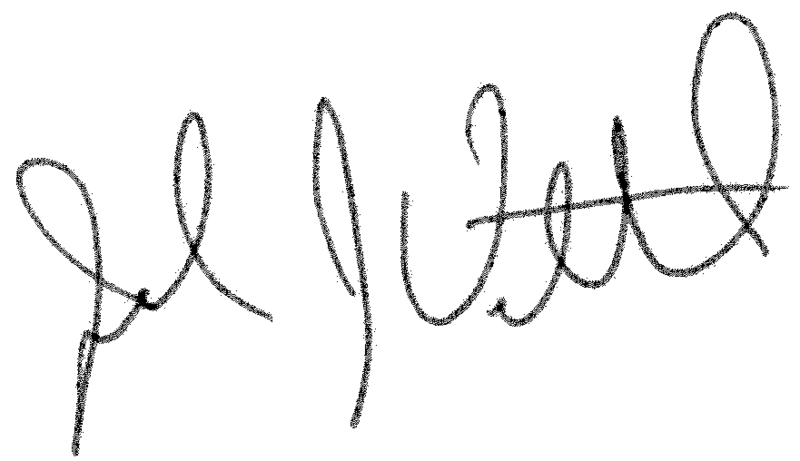 Copyright © 2015 HomeAid San Diego, All rights reserved.